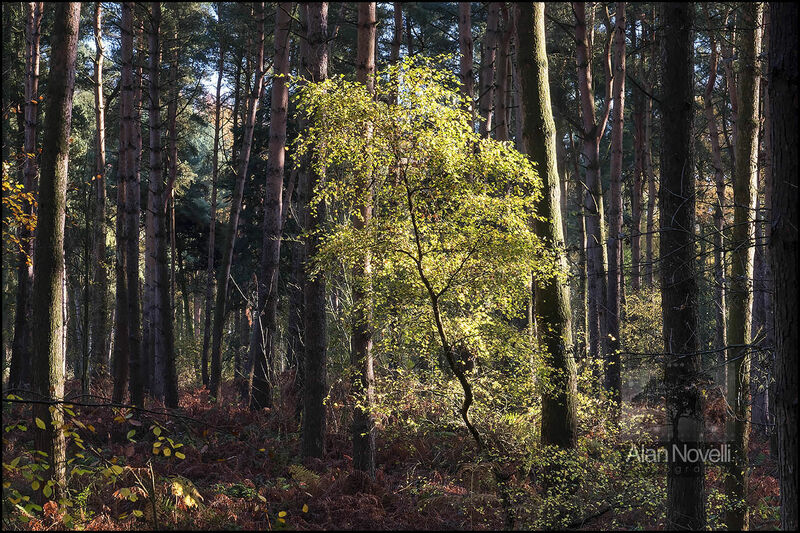 I spent a delightful autumnal day from dawn to dusk wandering around and photographing Delamere Forest. It yielded several pleasing images but this was by far my favourite. I found this Beech sapling growing amongst the tall pine trees as evening was drawing to a close. The final days rays of golden light were penetrating the depths of the forest, dramatically highlighting this sapling against the darker trunks.